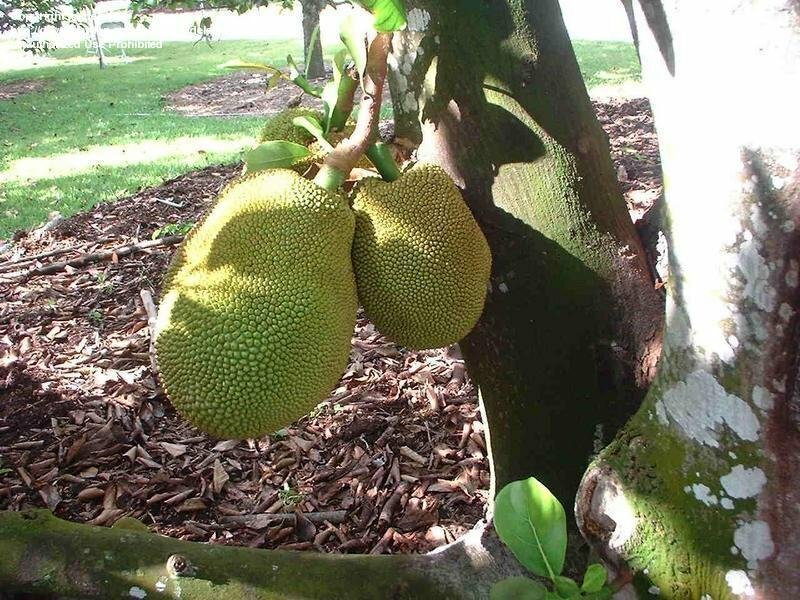 This is growing behind our house. 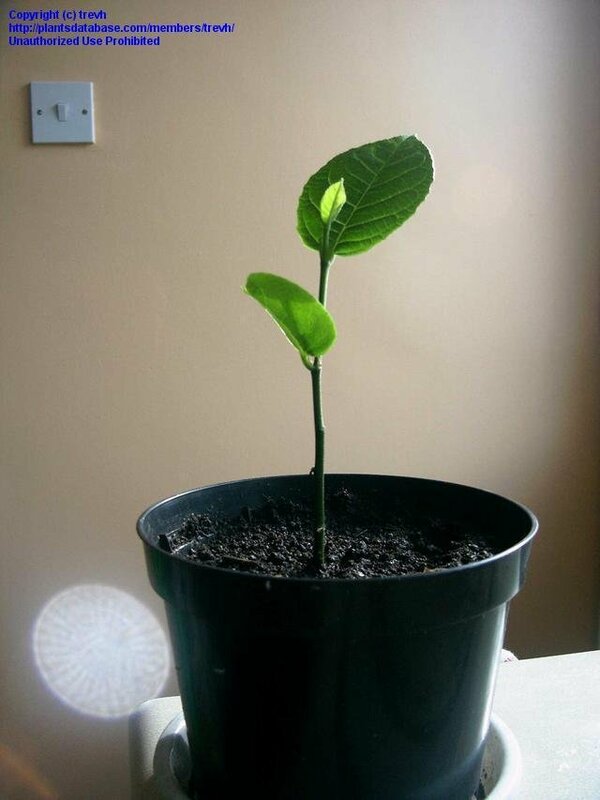 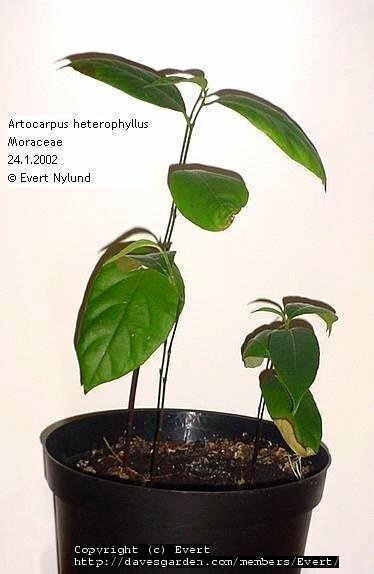 Young plant grown from a seed which I removed from a fruit bought from a market in Penang whilst on holiday in September 2002 before eating the fruit. 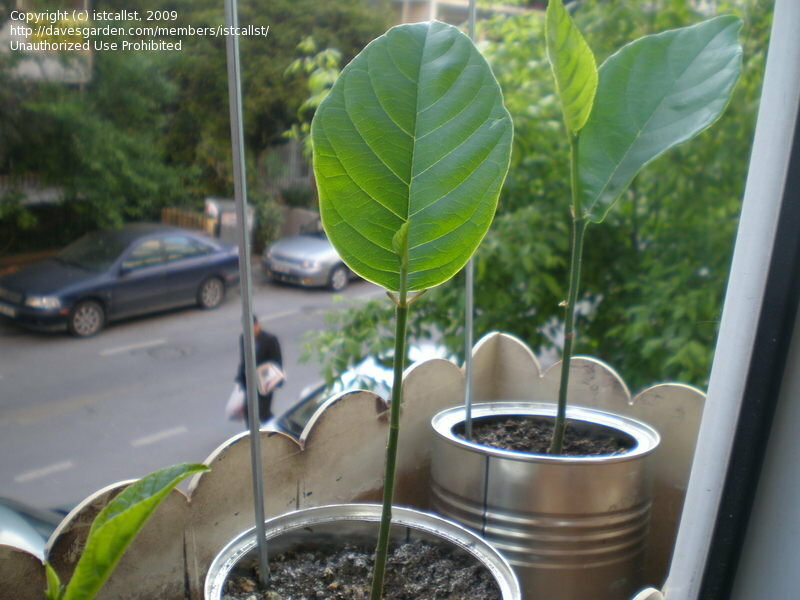 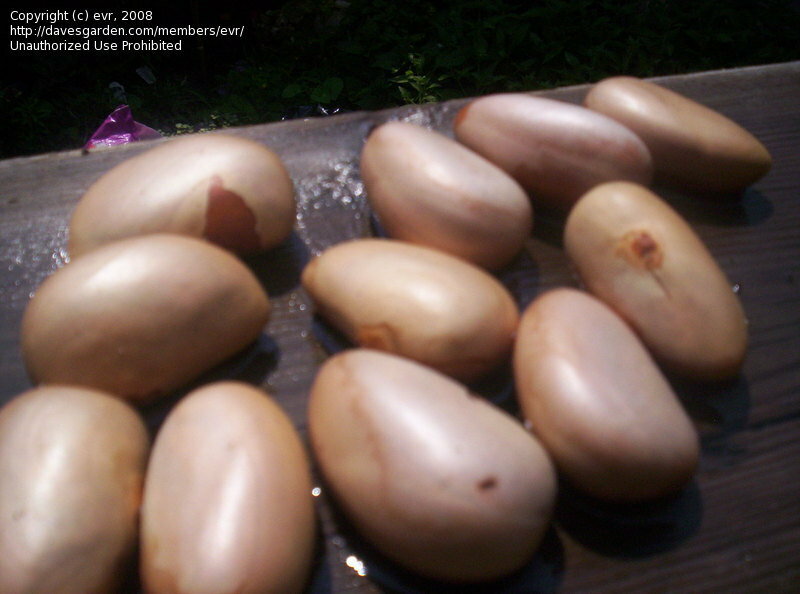 The seed was germinated in Jan 2003 in a glass with damp paper towel. 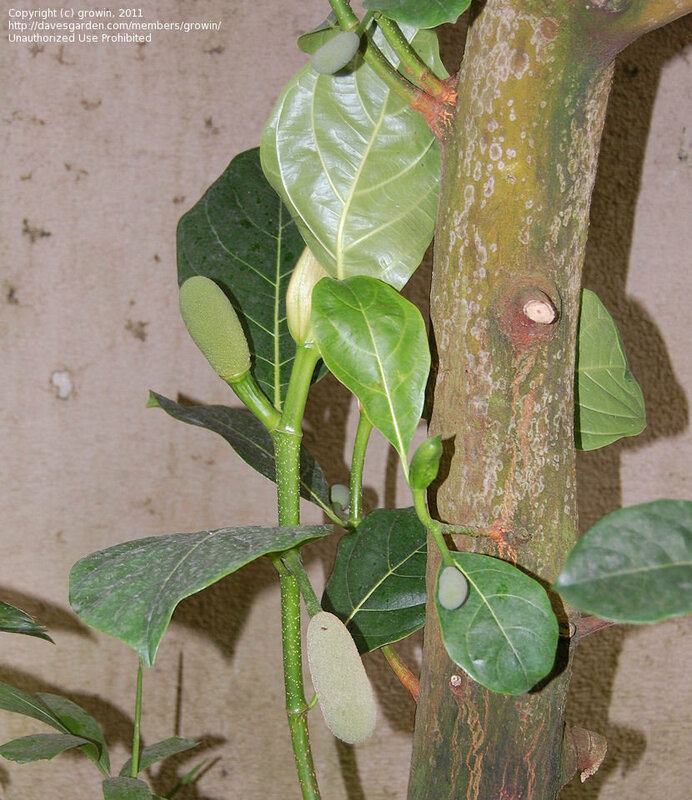 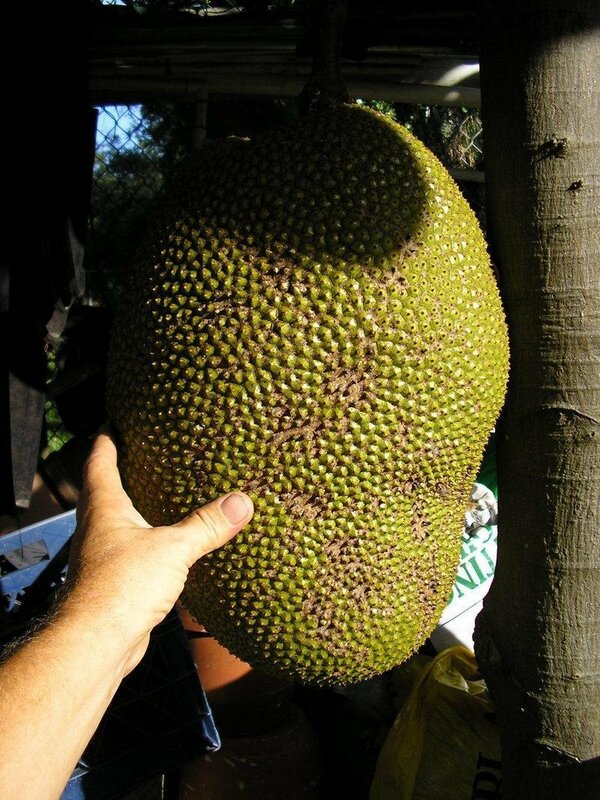 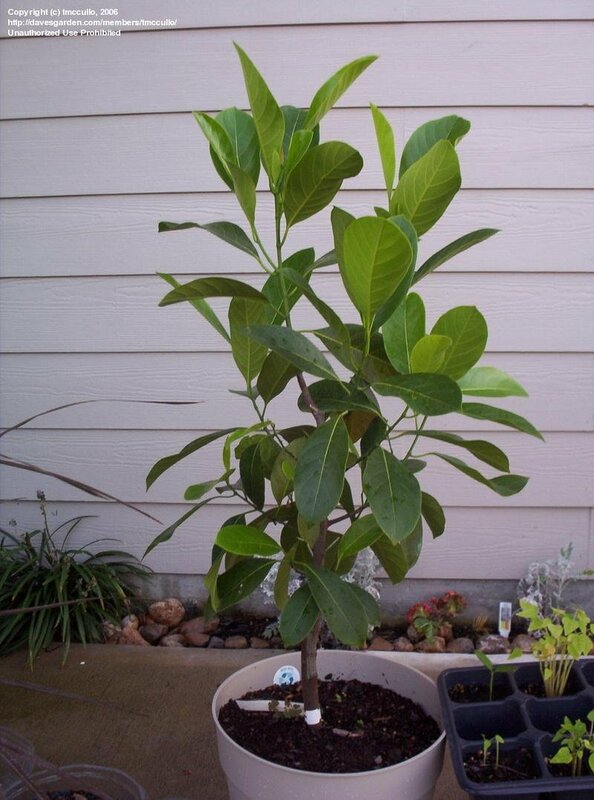 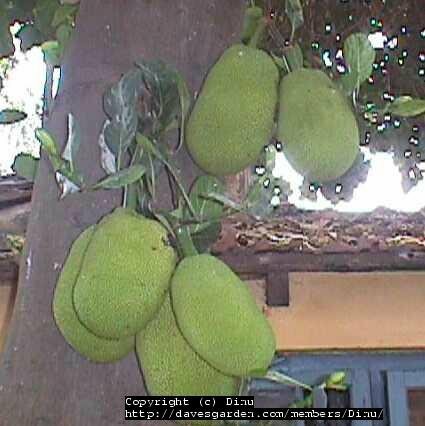 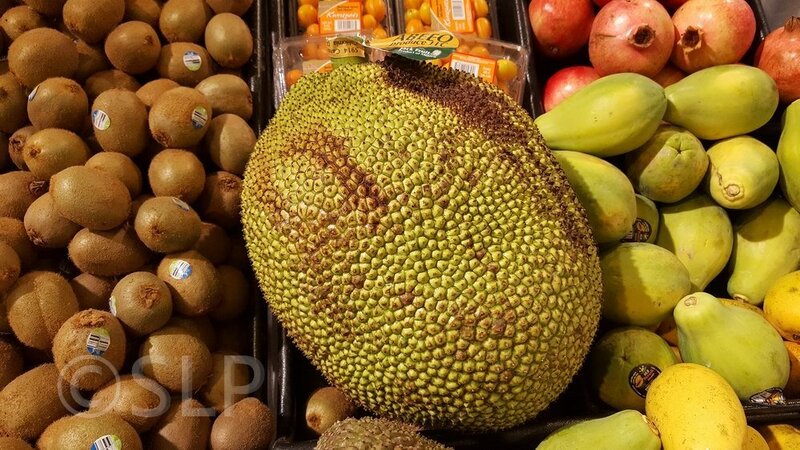 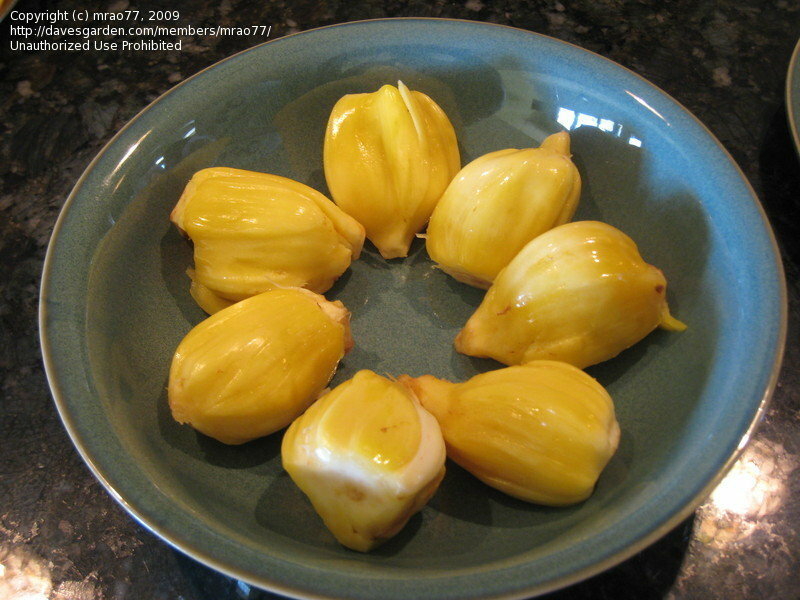 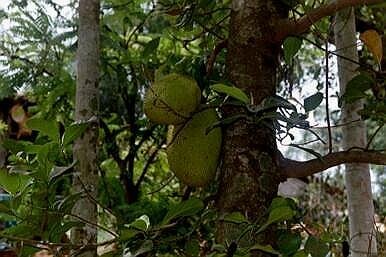 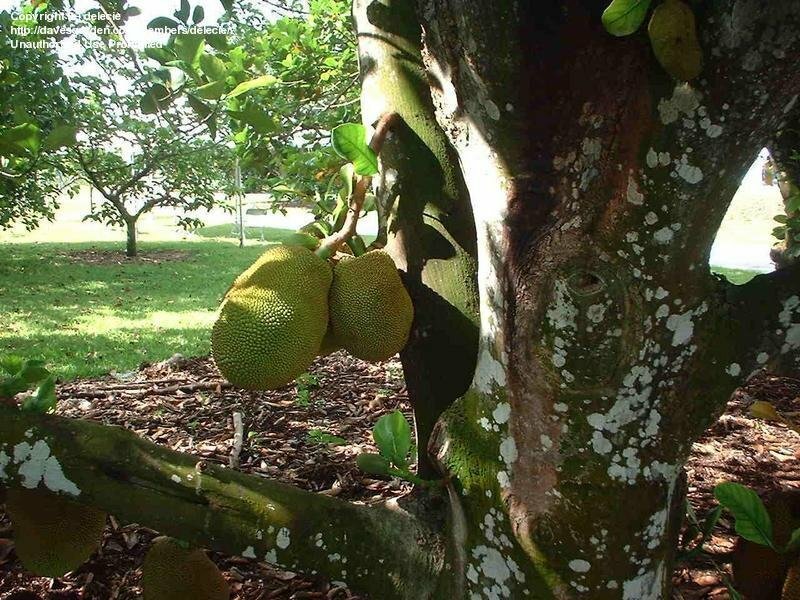 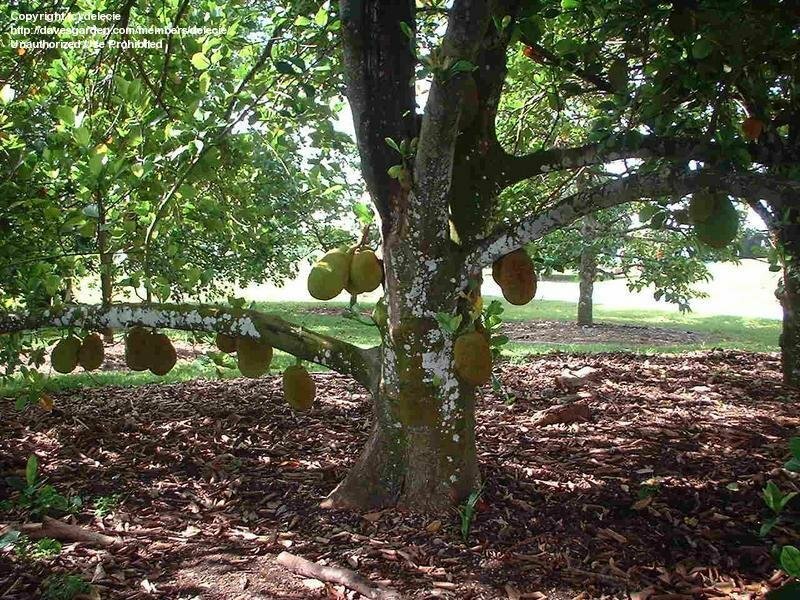 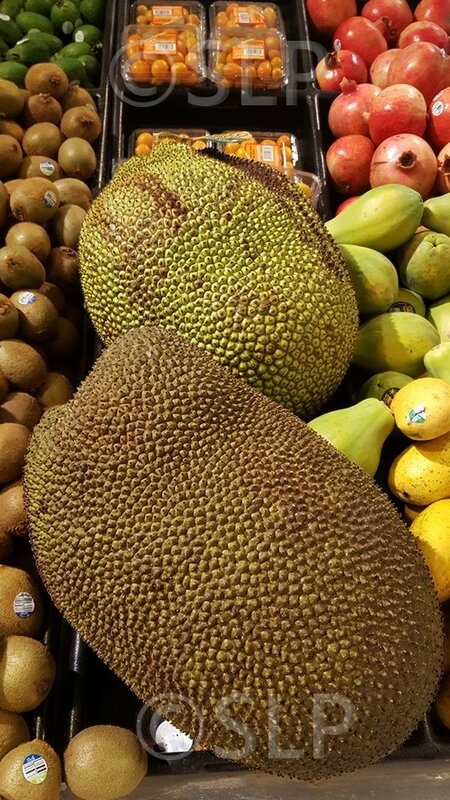 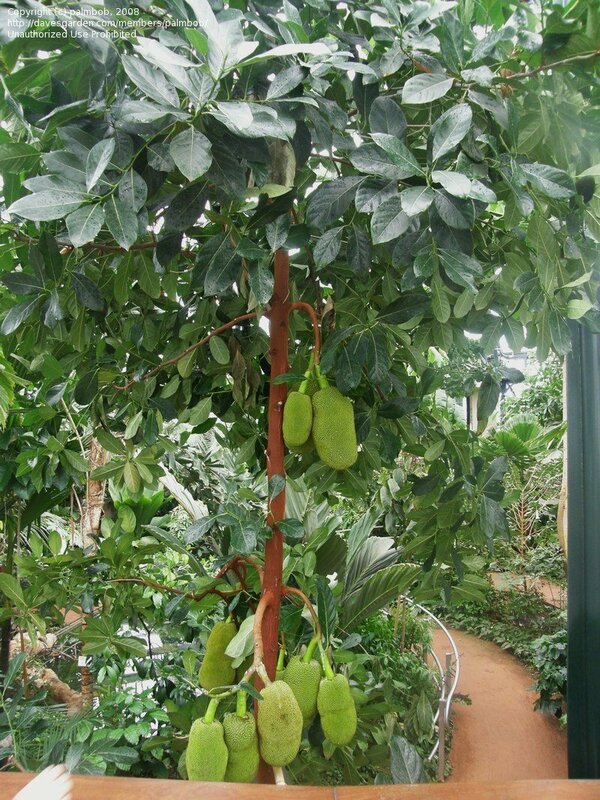 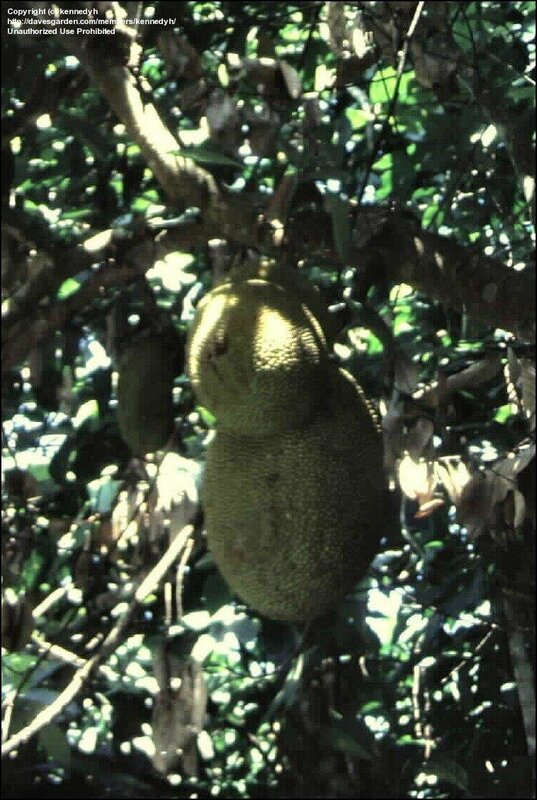 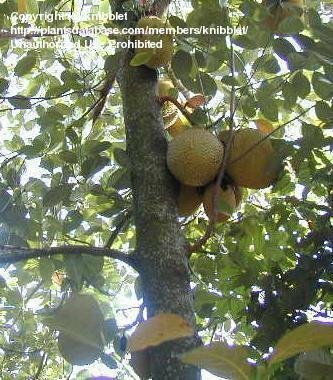 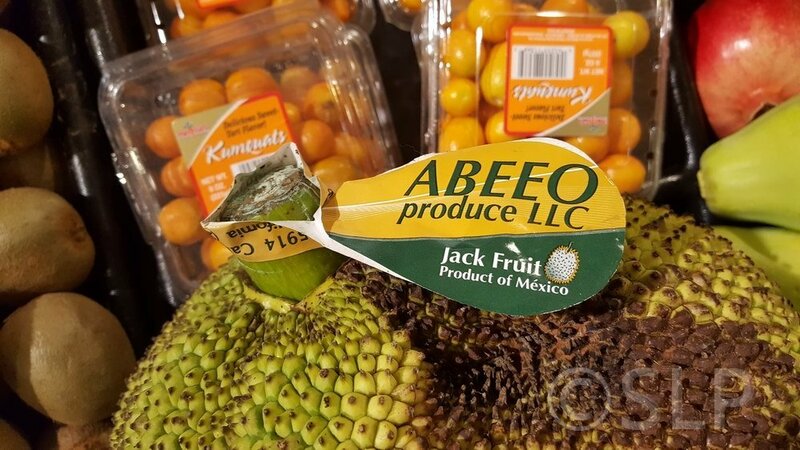 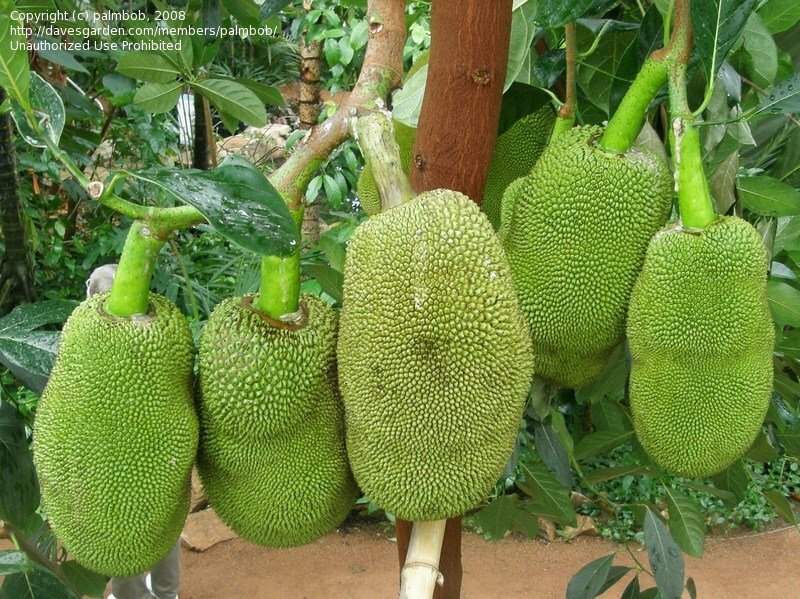 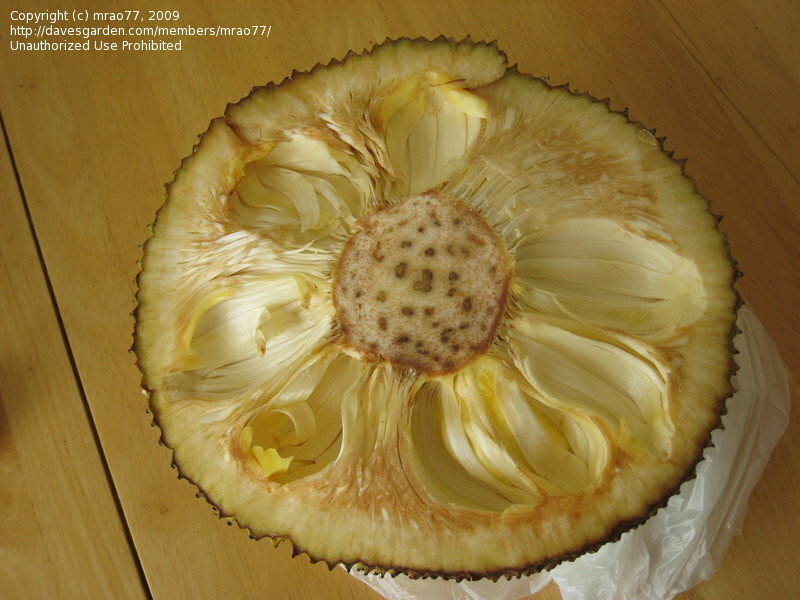 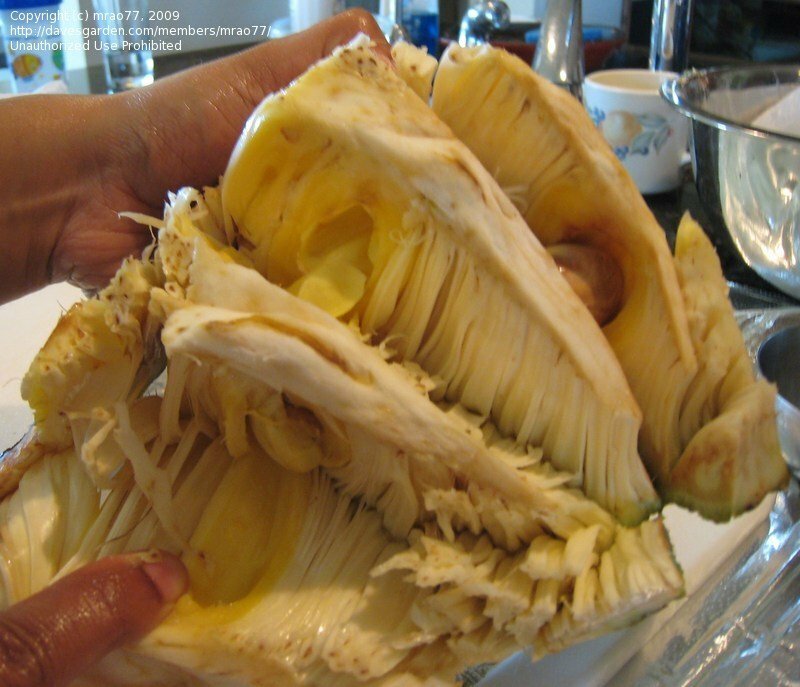 A young Jackfruit tree already bearing big fruits. 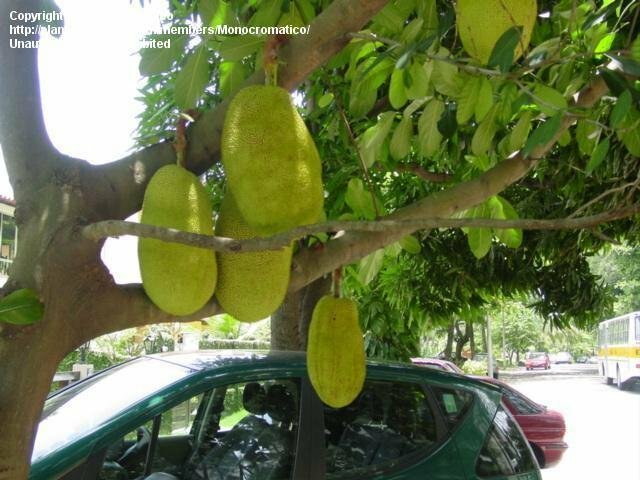 Rio de Janeiro, early summer. 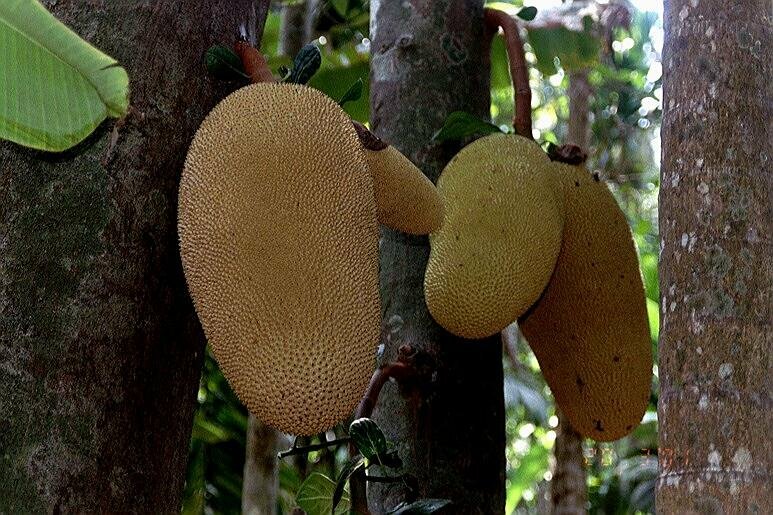 Each "pod" is a fruit, and the entire fruit can have about a 100 or more of these! 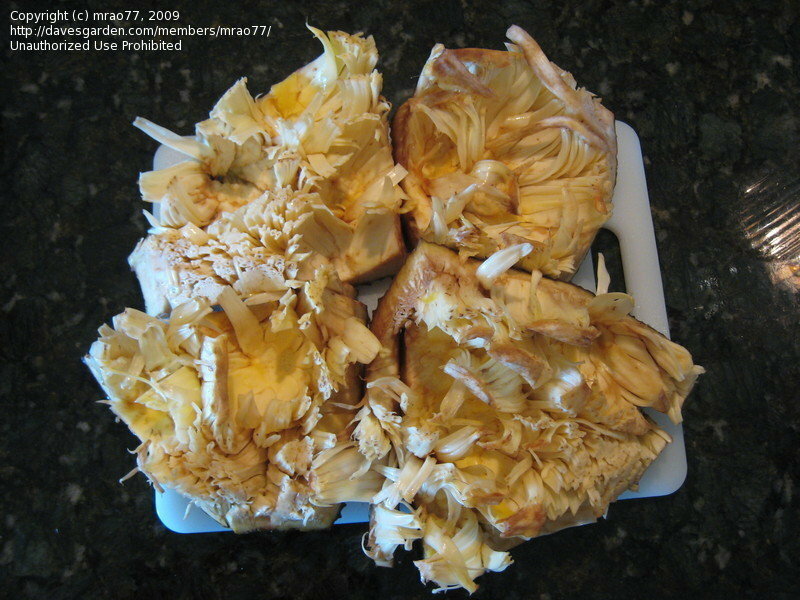 This is all the unfertilized flowers/aborted fruit left after removing the edible pods.